In the digital marketing setting, success is obtained by a thorough understanding of your audience and what they need to click ‘Buy’. Sounds easy? It isn’t. Humans are unpredictable, fickle, erratic, and are generally influenced to make purchases either through necessity or triggers. Our ads may reach hundreds of thousands of people, all of which fit into our intended audience, but only hundreds will act and click on the ad, with the rare chance that a few make a conversion. Attempting to gain perspective on human tendencies is no easy feat, which is why brands come to marketing agencies. We have the tools and the experience to at least comprehend and extract perspective. Are people clicking on my ads? There’s Click-Through Rate (CTR) for that. Are people staying on only one page on my website? There’s Bounce Rate for that. Are people reacting well to the keywords I’m using? There’s Cost Per Click (CPC) for that. To this huge sports fan (I cannot emphasize this enough), heatmaps are one of the greatest tools you can use to learn about the tendencies and success of a player. Let’s use the basketball heatmap for an example. That player is clearly great at shooting from a certain area beyond the three-point line. If I’m that player’s coach, am I going to look at this heatmap and run plays in that red area where he’s hot? Or am I going to make him take a few steps in and shoot where the map is green and cool? The heatmap tells me I should run plays for that player either straightaway or to the right of the basket, similar to how the first map tells me that most people have their cursor frequently in those red areas. 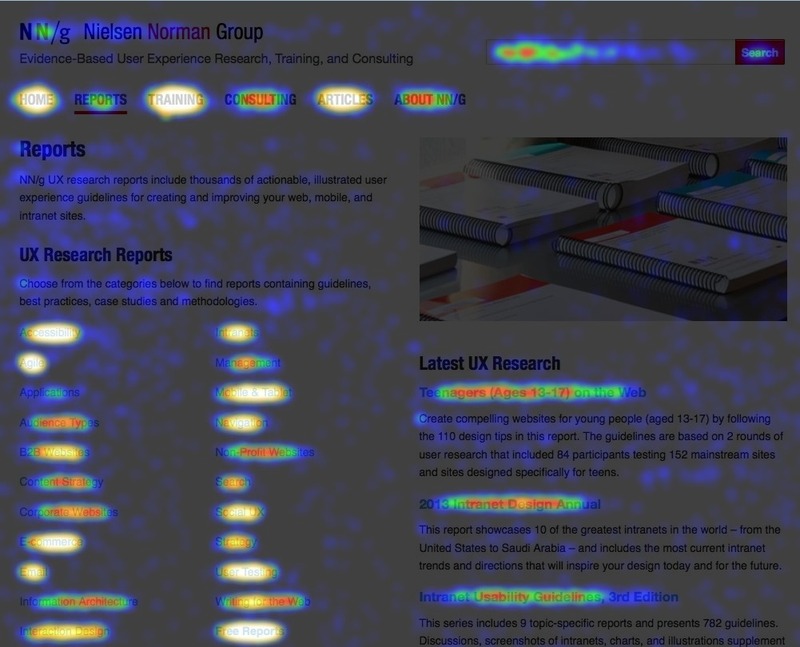 But not all heatmaps are alike. We have…. These maps track mouse movement, rather than just where people click. 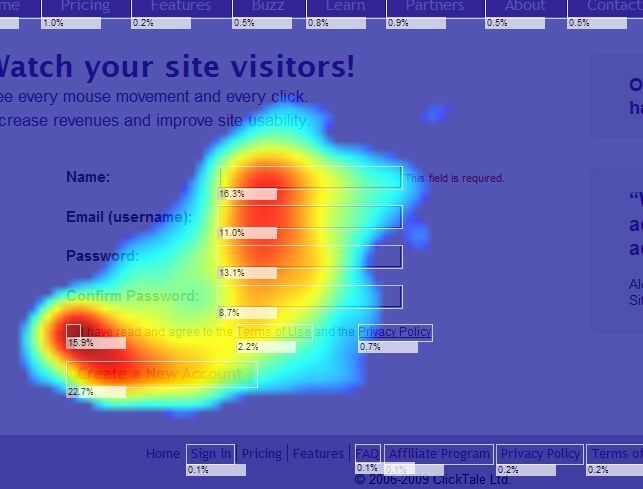 Digital marketers can use these maps as a metric to track where users keep their cursors and how they read a web page. But this isn’t always the greatest indicator. Unless the website is entirely click-based, most users are going to ignore where their cursor is. In fact, as I write this, I have the cursor randomly sitting in a spot on a website. That 3rd stat is near to what I’m guilty of committing right now. I’m reading around on a website, ignorant to where my cursor is. Click maps are useful in seeing where and what exactly people are clicking on, but it’s also very easy to know what people are clicking on. It’s a stat thats widely accessible on every platform. However, you can also see where people want to click on. From my personal experience, I will come across websites with a certain word highlighted or italicized. Thinking it’s a link to further information, I will scroll over and click, only to realize the word or image was just that, nothing more than a word or image. By applying this to a website you run, you can add links to the words or images where users were clicking. No, this isn’t Pink Floyd’s latest album cover. 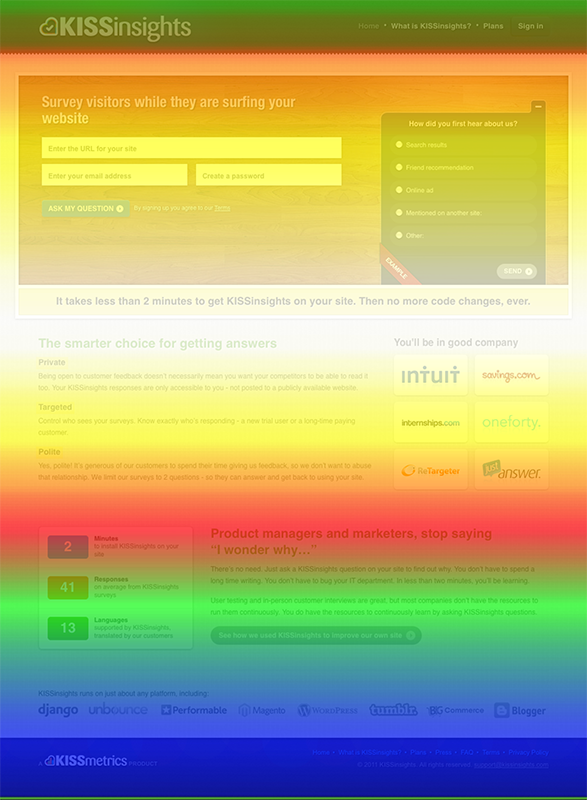 This is a scroll map, and it allows marketers to discover how far users scroll before exiting the page. Its most essential role, especially for long-form sales pages and longer landing pages, would be letting website designers know where the essentials of the website need to be placed. If users stop scrolling at a certain point (as we can see in the image above, users are stopping around the last 25% of the page), the website’s architect can determine that the essentials of the website need to be placed higher. This would greatly assist a marketer determining where to place something like a banner ad. Are they going to pay extra to have their ad placed at the top or in the middle, or are they placing it at the bottom? Judging by the scroll map, placing the ad at the bottom of the page would be a waste. Scroll maps are also a great way of judging overall interest in the content on the website. For one, you can learn just how interesting the content is at the top. If, as seen in the image above, users are at their most active in the middle, you can figure that’s where your best content is and where people clicking off the page.